I grew up in Minneapolis MN but currently live in Savage, MN (a little south of Minneapolis). Growing up, my family was always creating something - drawing, painting, sewing, woodworking and all types of crafts. I was surrounded with the beautiful china paintings by my grandmother and photograph paintings by my mother. 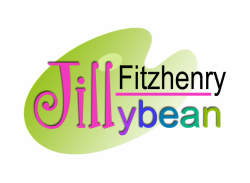 Jillybean is a nick name for Jill and I was affectionately called this by my family and friends since she was a little girl. ​I was in my 20s when I stumbled across a Bavarian Folk Art Painting Shop called "Pipka's". I was a young stay at home mom and needed a little time with some adults to talk to, so I took a couple acrylic painting classes. After the fourth lesson, I knew this is what I wanted to do with my life. This was something I could do at home and still be with my kids. Painting was also a great way to make personalized gifts for my family at a fraction of the cost. My Mom and I did little craft shows together and this helped to support my painting hobby. When I was encouraged to try teaching I discovered I really enjoyed helping people unleash their hidden talents. That little sparkle in someone’s eye when they realize they can do something they didn't think the could, still gets to me today. In the mid 1980s I began publishing my own pattern packets and painting books. Back then you would type everything on a typewriter and I did use lots of white out! When computers came around it was so nice to be able to go back and correct the spelling and use spell check. With the first books I had to cut and paste everything onto a big sheet of paper. You would out the line drawings and typed instructions. Carefully measuring each placement. I went through lots of rubber cement! With the computer however, I eventually taught myself to do everything in that. I did go back to school for computer graphics just so I could do a better layout on books and magazine ads. However, I had already taught myself so much and was constantly showing the teacher a short cut for many of the programs. I love working on the computer just as much as painting. I now also edit videos for myself and other artists. After my first book was published, I began getting many offers to go teach all over the USA. Considering I never even left MN until after I was married, this was such a great adventure. I've taught in all but 5 of the state in the USA, all over Canada, Italy, London and South America. So many great experiences and I've met so many wonderful artists and aspiring artists. To earn a living doing something you truly love is such a blessing. Bright bold colors always inspire me so I seem to be drawn to the Christmas and holiday type of designs. Growing up, Christmas was my favorite holiday. My mom always made it so special and magical. Santa was the most magical character from my childhood and I've painted 100s those designs. When my 4 kids were little I would really go all out with decorations for every type of holiday in every room. One day I blinked and they were all grown up with their own homes. They each developed new tastes for decorations. They have challenged me to create different styles of paintings more fitting for their likes. I've painted more gifts over the years than I can count. Now with my 5 grand children, I continue to paint fun things for and with them. I still love my acrylic paints the most but dabble a little in all mediums. I live in a dream world when I'm painting and I plan to "Dream until my dreams come true"!